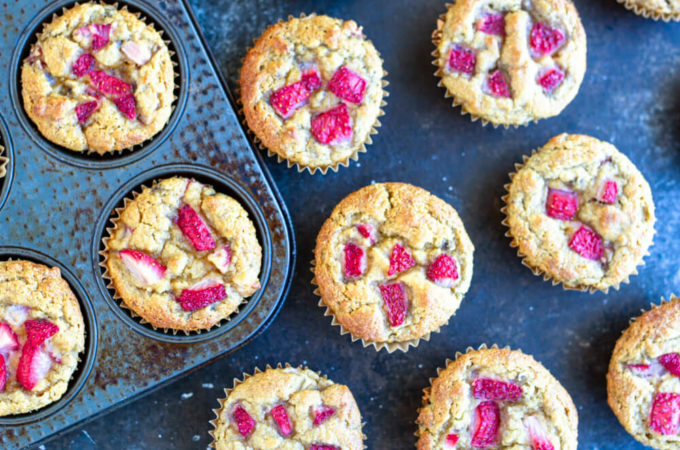 Need some breakfast inspiration? 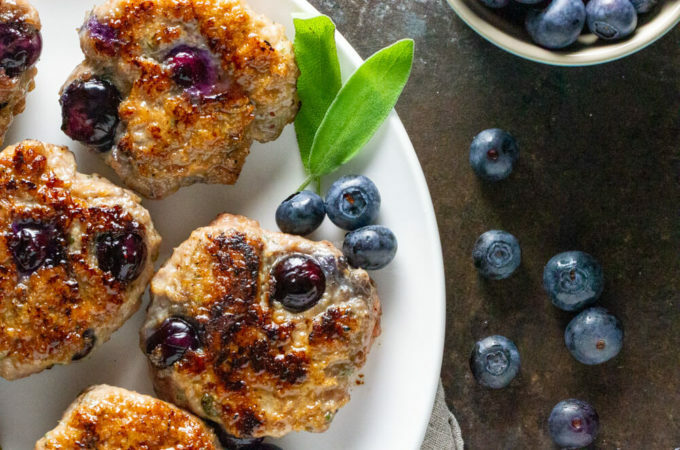 Meet homemade blueberry turkey breakfast sausage. 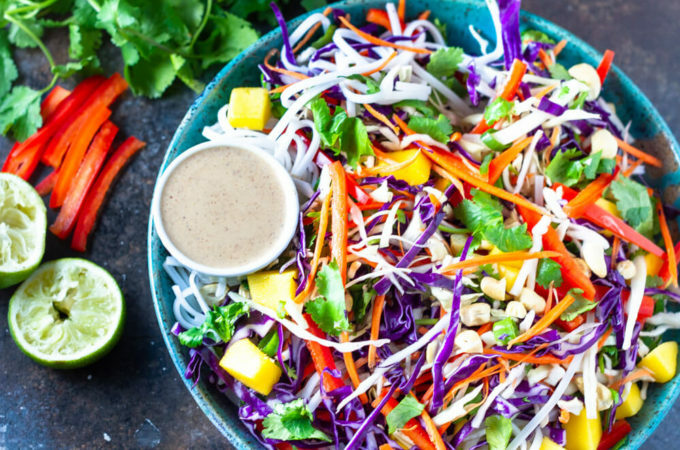 Just a few simple ingredients and bursting with flavor. 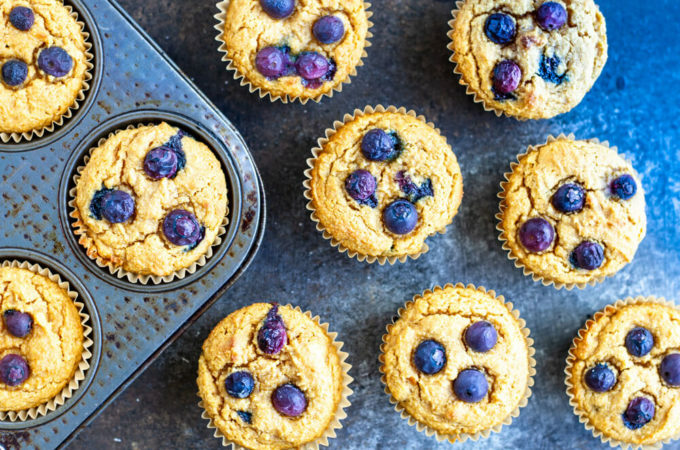 Blueberry sweet potato muffins! 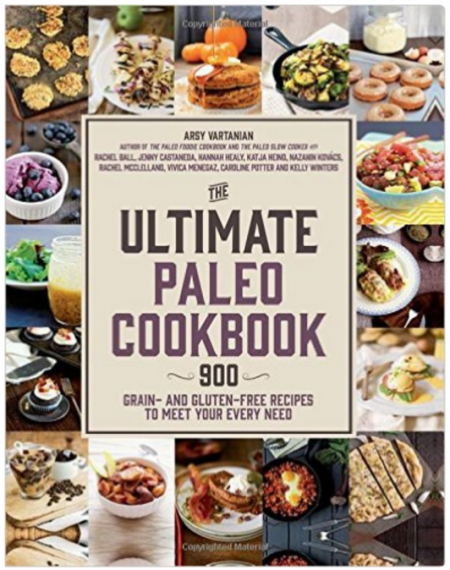 Loaded with mashed sweet potato and bursting with juicy blueberries. Healthy, moist, and delicious. 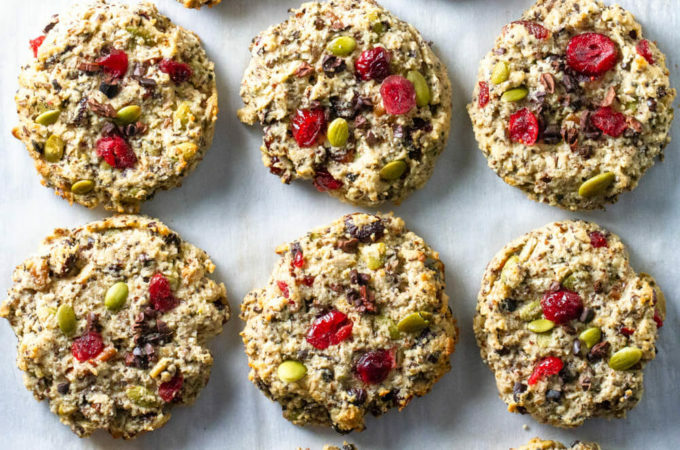 Quick and easy breakfast cookies loaded with all the things. 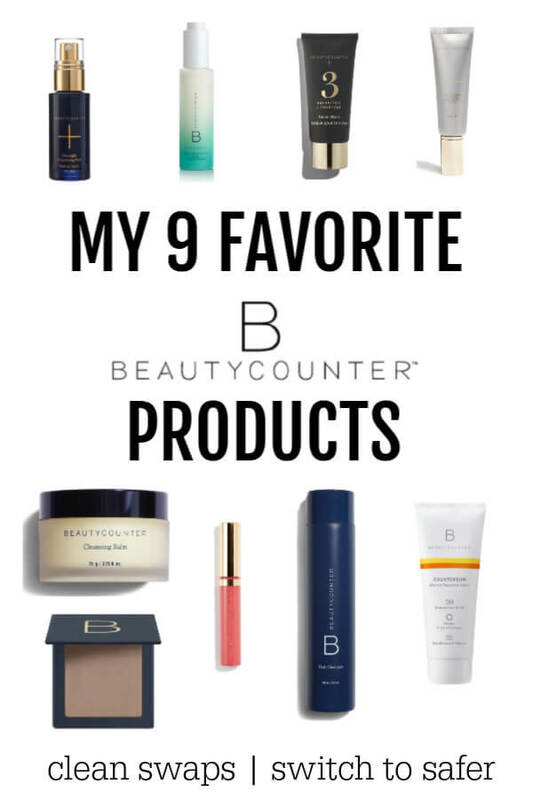 Great for an on-the-go breakfast or snack. My word for 2019 is SIMPLIFY. And that’s just what I’m doing. 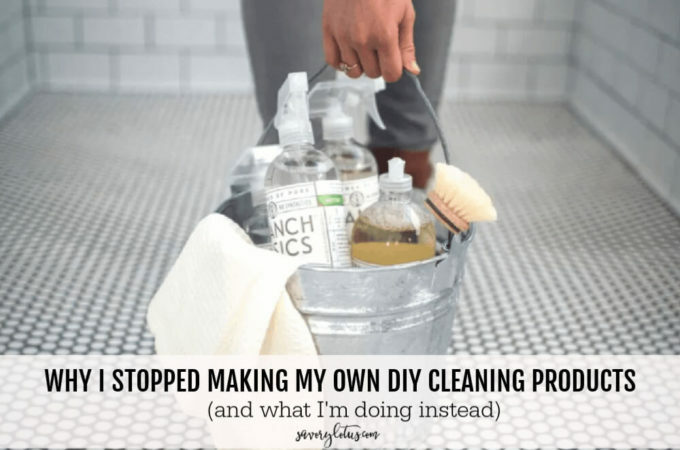 Check out why I stopped making my own DIY cleaning products. And what I’m doing instead. 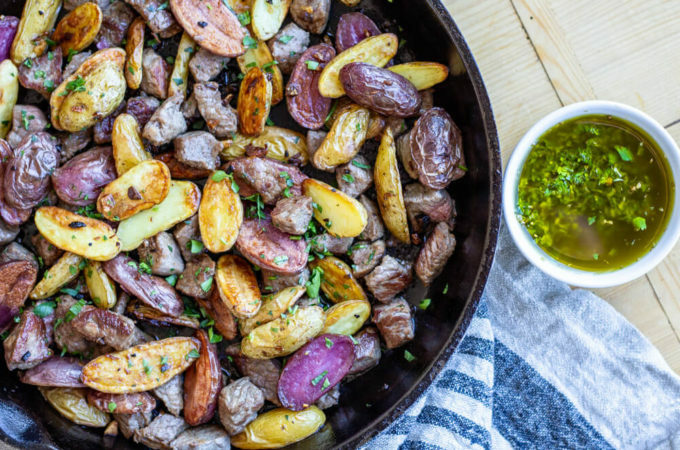 For all you meat and potato lovers: one skillet seared tender steak bites and crispy garlicky potatoes drizzled in a fresh chimichurri sauce. 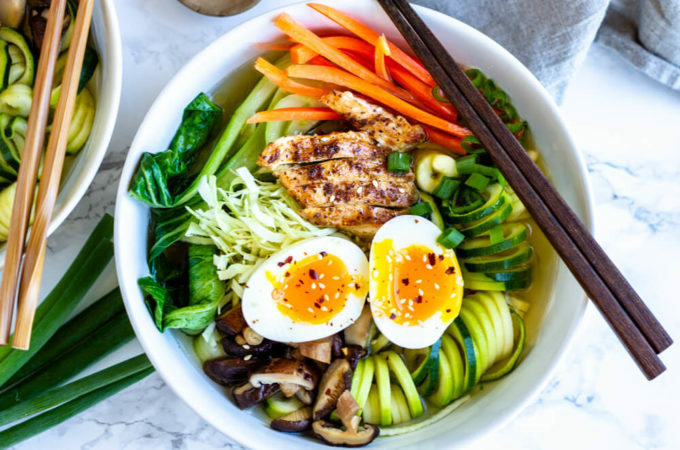 The perfect weeknight comfort food dinner. 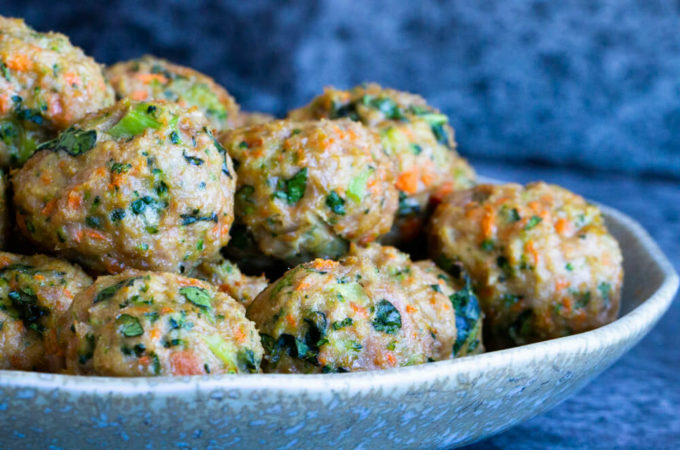 Veggie loaded turkey meatballs – the ultimate make ahead meal prep recipe. Life just got a little bit easier. 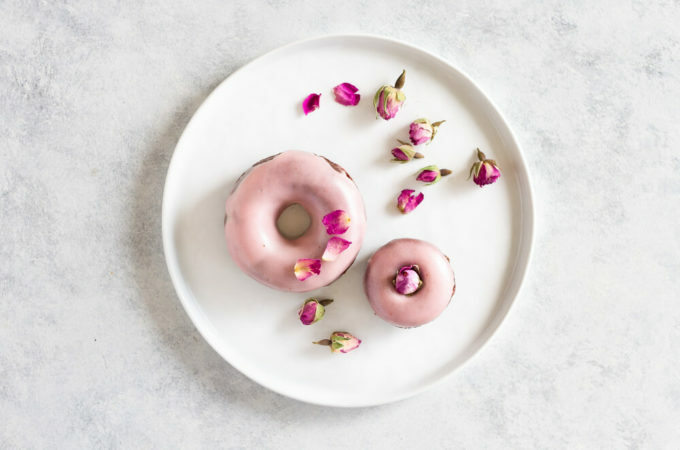 Hello, sweet little chocolate rose donut. February just got a little bit more delish. 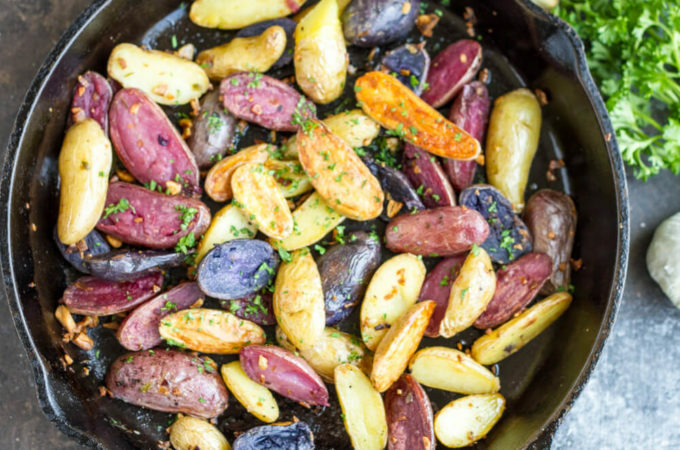 Garlicky roasted potatoes ready in less than 30 minutes. 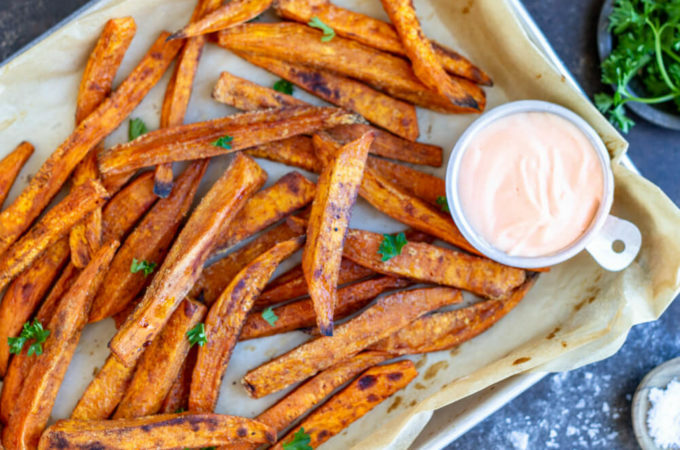 A super simple side dish for any occasion. 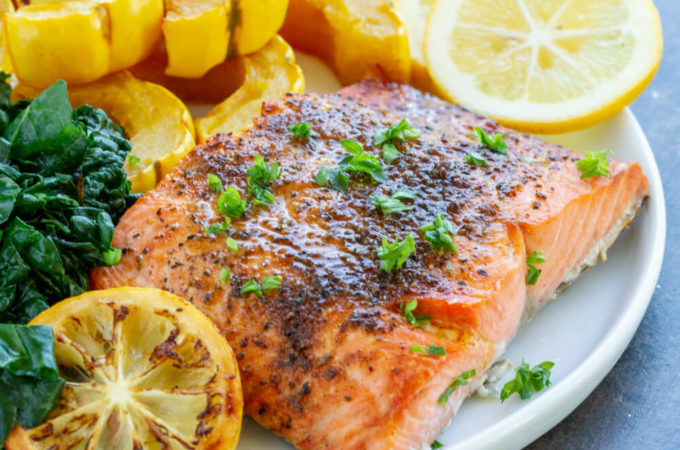 Quick cook times and easy clean up make one skillet meals a total hit around here. 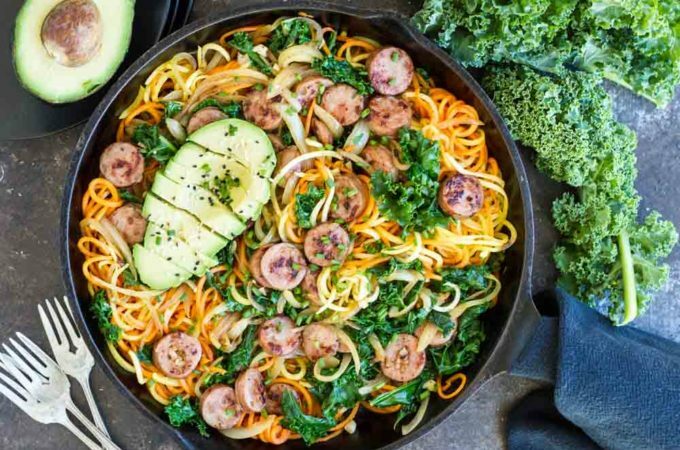 Throw this One Skillet Sweet Potatoes with Sausage and Kale together in less than 30 minutes for a hearty, wholesome meal the whole family will love. 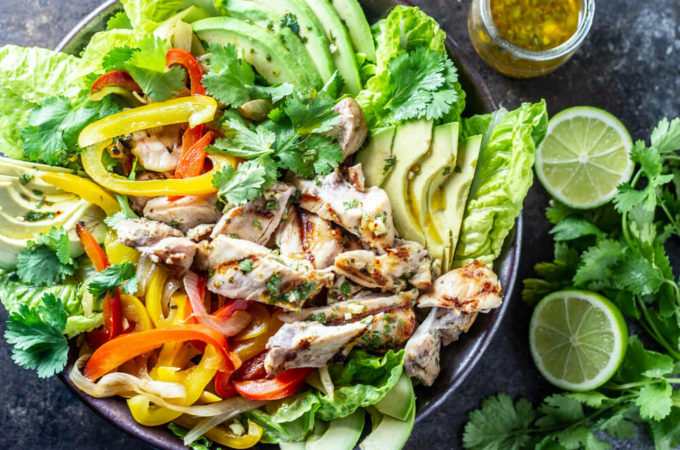 Whose ready for a little healthy eating reset? 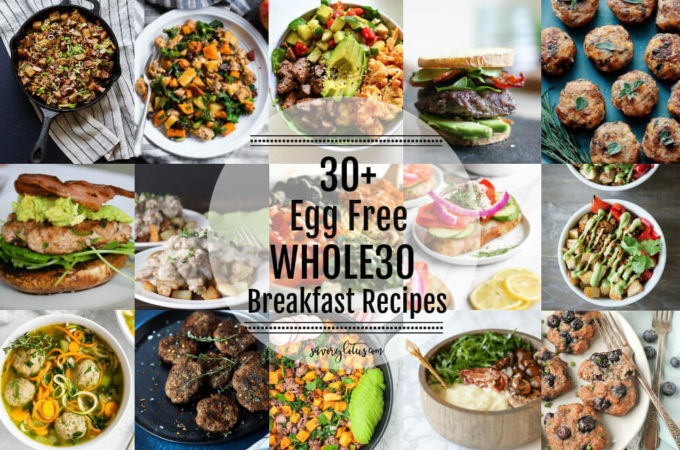 Sharing 30+ egg free WHOLE30 breakfast recipes with you today to make sure you start your day off right. Soup is life. That is all. 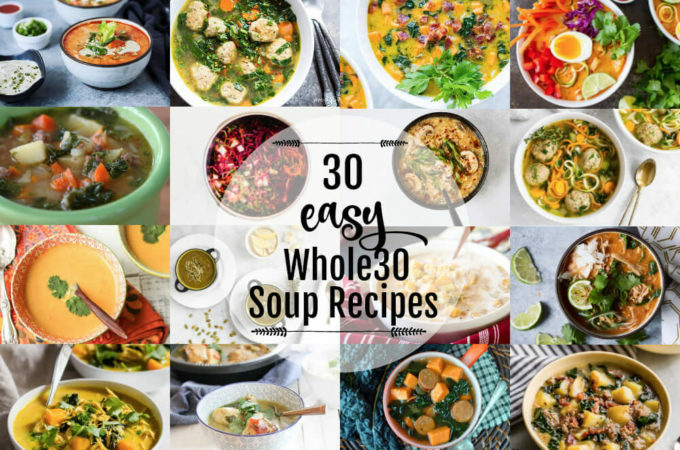 Coming at you with 30 super easy Whole30 soup recipes to keep you inspired.